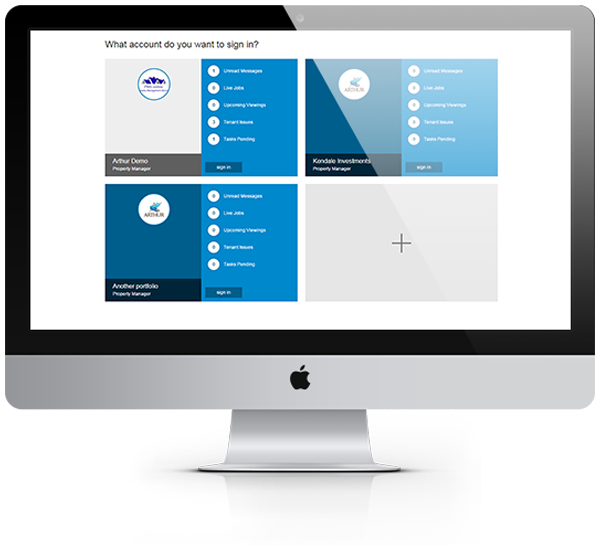 Do you a need to manage separate and distinct portfolio’s from one screen? Arthur has the answer. The global switch! Arthur is a property management platform that enables you to set up multiple property manager accounts accessible from a global screen on the web or mobile device. The global switch has far reaching ability for those business`s where central control or access is required to separate accounts. Virtual managers are able to easily switch between accounts to manage portfolio’s. Q: Can I invite different users to each account? A: Yes. Each account is a separate entity and an invited user on one will not see your other accounts. Q: Does this make Arthur more expensive?